We redefine the world of payments. The drivers of our innovative solutions. Christo Georgiev is an exceptional entrepreneur and investor in the fields of financial services and information technologies. He is at the forefront of pioneering card issuing, e-money wallets and innovative payment solutions across Europe since 2000. His innovations in the different sectors do not remain unnoticed by the global business. That’s why in 2008, The Financial Times named him one of the most prominent business leaders in Bulgaria, an expert, and strategist in the field of financial products. Christo holds a Master's degree in Software and Hardware Engineering, а Master's degree in Economics, Banks Management and a postgraduate specialization in Economics at the University of Delaware, USA. Yavor Petrov is the fourth person to serve as Chairman and Executive Officer of the company since its foundation in 2007. 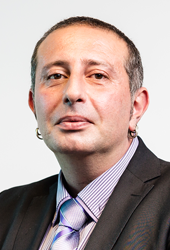 Yavor became a Member of the BoD in November 2015 and the Chief Executive Officer in January 2018. He began his career at iCard as a Program Analyst and over the next 11 years, he advanced through multiple positions of increasing responsibility in software development, technologies, and management. Under Yavor Petrov’s leadership, iCard AD continues advancing in technology, partnerships and integrations, market share, productivity and human resources. With a rich background in building real-time payment systems and elaborate financial platforms, Yavor drives the company forward with his vision for non-standard solutions. Sonya joined iCard in 2017 and took the role of a Procurator of the company. She is focused on the corporate recruitment practices and all activities on the employees' well-being and nourishment agenda. The high-level management of all customer support services also falls within the scope of her authority. Sonya has more than 25 years of experience in the banking industry. 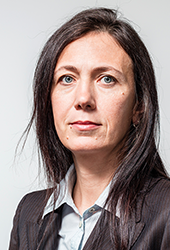 She spent 11 years at the head office of Société Générale Expressbank and 9 years at Alpha Bank Bulgaria as a Regional Manager and a Deputy Branch Network Manager. In her career, she also has a rich background in Risk and Business Valuation. Behind her professionalism stands her degrees in the areas Microelectronics, Accounting and control, Business Administration and last but not least her qualification in Business Valuation from the Chapman University, Southern California. 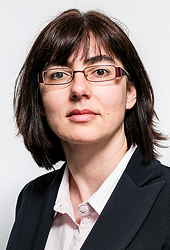 Maya Dyakova joined the Board of Directors in November 2015 and has been the Chief Risk Officer since 2017. Her competence in risk, compliance and organizational management is crucial for iCard’s sustainable prosperity. Maya started her career in Société Générale Expressbank, initially working as Corporate Account Officer, later as Marketing Specialist and Project & Organization Department Specialist. In July 2003 she changed the field of her professional development and became an Internal Auditor. Three years later, she was promoted as Head of Internal Audit of the bank with responsibility for the internal control of the branch network and head office. Having worked in iCard for over 10 years, Maya has proven herself as an outstanding professional, dedicated to building the company risk management policy and strategies. If you continue to browse this site you will automatically accept our cookies. Please note: blocking certain types of cookies will impede the proper functioning of the website.